If you would like a rewarding position helping people achieve their dream career, we invite you to apply to work with IAP Career College, our parent company FabJob, or one of our divisions. All of the positions we offer are flexible, part-time, or work-from-home positions and most pay by the hour. If we’re a fit for you and you’re a fit for us, you will join an organization that good workers want to keep working with. The first two people we hired 17 years ago are still with us and our best contractors typically return to work with us again and again. We hire people who can “hit the ground running”, adapt quickly to changing priorities, and thrive without micro-management or red tape. So it’s important to us to work with people who are low-maintenance and don’t require constant supervision. If IAP Career College or FabJob seem like the kind of “place” you might like to work, please scroll down for information about our current openings. Like others who work for us, the place you’ll be working is your own home or community — whether that’s in Colorado, Canada, or Cork, Ireland. UPDATE: We have received a greater response than we expected for this position (over 100 applicants) so we are still reviewing submissions and hope to follow up later this week with selected applicants. Thank you to all who applied. Currently we offer professional certification in a number of non-traditional career fields, from image consulting and interior decorating to wedding planning and wellness coaching. 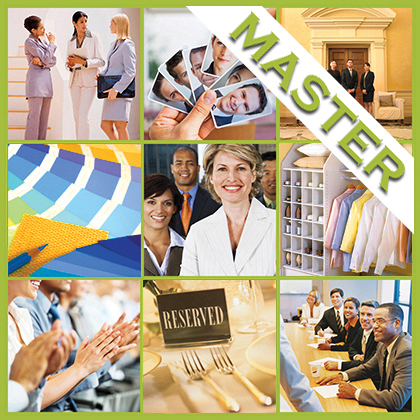 You can see our current master professional certification offerings at https://www.iapcollege.com/program-category/master-professional-certification-programs. For these careers, and the other career topics offered by IAP Career College (from Art Gallery Owner to Yoga Studio Owner), we would like to offer adult students the option of earning our master professional certification based on life experience. Your task will involve recommending to the college director a list of life experiences that are relevant, then allotting point values to each type of life experience. The goal will be to offer professionals a “menu” of life experience options, with 100 points qualifying them for our career college’s master professional certification designation. Based on the recommendations of multiple career and adult educators, we will determine the menu of life experience options, and how applicants can prove their life experience (e.g. a portfolio, paper, or application form with copies of relevant documents and links). For this contract we are seeking career and adult educators who are self-directed and can run with this project with the basic information provided. This is a flexible, part-time, work from home position that pays a flat fee of $500 with an expectation of 20 hours of work in September, 2018. If this sounds like a fit for you, please submit your resume with an email describing your relevant expertise to careers@iapcollege.com. Please note that this position is not suitable for candidates whose experience is solely with high school students. The people who will be affected by this project are adults who have years of experience in the field for which they are applying for professional certification. All applicants will receive an automated reply, and we will follow up with selected applicants. Could you be a faculty member for the International Association of Professions Career College? We are seeking knowledgeable, supportive people with business experience to serve as faculty members for IAP Career College courses. Although we have a full roster of faculty for many of our courses, we are always interested in hearing from prospective faculty members, especially those with personal experience in the careers for which we offer courses. These part-time positions involve providing teaching assistance by responding to student questions via email and Skyping with students who want to communicate by video call, voice call, or instant message. We ask that faculty members respond to students within one business day when possible. Because these are online positions, we are happy to hear from applicants living anywhere in the world. We expect faculty members to give advice from their own experience working in the career or as a business coach, however, information provided to students must also be consistent with the course textbook. The textbooks for all courses are from FabJob Inc., the leading publisher of career guide books on how to get started in a dream career. FabJob guides have been used as textbooks for more than a decade, and you can find them in the career centers and library collections of many famed colleges and universities – from the University of Texas to the Fashion Institute of Technology. The faculty member positions are flexible, part-time, work from home positions that pay $30.00 US per hour. If this sounds like a potential fit for you, please submit your resume and cover letter to careers@iapcollege.com. Before applying, please review our career certificate courses so you can tell us which of our courses you could serve as faculty member for. In addition to relevant business experience, any experience with organizations such as the Small Business Administration, SCORE, or as an instructor of courses related to starting a brick and mortar business is an asset. All applicants will receive an automated reply, and we will contact selected applicants when a position is available. zenGOT™ is a new website and app connecting consumers with people who provide household services for a fee. Founders Catherine and Tag Goulet have helped more than a half million people break into their dream career and start their own businesses over the past 18 years through their companies FabJob.com and IAP Career College. If you can provide household services, you could earn $20 to $50 or more per hour through our sister company zenGOT™, a new website and app connecting consumers with people like you who are paid to provide services. It’s free to join so go to zengot.com/become-a-zengiver to register today as a zenGiver™. FabJob Inc., the parent company of IAP Career College, is the leading publisher of guide books on how to get started in a dream career. FabJob has sold millions of dollars of career guides online to hundreds of thousands of career changers on six continents over the past 18 years. You can find FabJob guides in the library collections of many respected colleges and universities — from the University of Texas to the Fashion Institute of Technology — and in numerous public libraries in cities from Vancouver to New York. Although FabJob doesn’t currently have openings, but we are interested in hearing from you if you have any of the following skills: customer service, book design using InDesign, web development in WordPress and WooCommerce, social media marketing, online research, curriculum development, project coordination, media relations, academic writing, or editing non-fiction. If you are applying for a writing or editing position, we would love if you have all of the following, but encourage talented people to apply even if you don’t have everything on our wish list. If this fab job sounds like a fit for you, please submit your resume and tailored cover letter to careers@iapcollege.com. Please include your Myers-Briggs type in your cover letter. Because of the Dunning-Kruger Effect, it is important to provide concrete examples illustrating why you are the ideal candidate.